These products include customized and standard hardware and software, such as automatic equipment identification technology, sensors and nondestructive imaging and security instruments and more. ACAL (Advanced Complex Algebra Library) is an out-of-core linear system solution library that uses a hyper-matrix approach to partition large problems. ACAL allows high computation efficiency when properly tuned for the platform used. 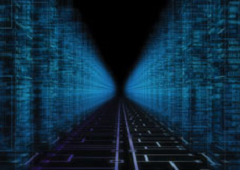 ACAL performs nearly all vectorizable operations thus, minimizing memory bandwidth requirements. Nearly peak theoretical machine performance for linear system solution can be achieved. ACAL can complete symmetric matrices that have been only filled by accumulating entries across the matrix diagonal. For symmetric matrices, this allows a twofold reduction in generation time. It also supports symmetry in the matrix solution process. 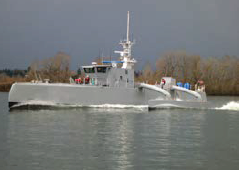 Leidos led the team that designed and built DARPA’s Anti-Submarine Warfare (ASW) Continuous Trail Unmanned Vessel (ACTUV), now named Sea Hunter, with the goal to develop a highly autonomous unmanned vessel capable of operating over thousands of kilometers on the open seas for months at a time. 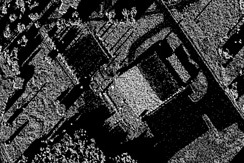 AIMES is a next-generation, full-motion video imagery exploitation tool created to solve the tough challenges faced by today’s motion imagery analysts. It includes an open architecture to enable integration of advanced processing algorithms and incorporation of dynamic, real-time task management capabilities to reduce analyst workload and speed the provision of intelligence to decision-makers. AIMES is the result of internal research and development efforts to improve upon Leidos' previous motion imagery solution, the Video Processing Capability (VPC) product line. As technology advances, the importance of motion imagery management and analysis has continued to rise. Industries that can benefit from the AIMES product suite range from federal to state and local governments to a wide-variety of commercial and international markets. Full Motion Video Ingestion and Management: The AIMES Server component is a content management system for full motion video (FMV), exploited products and related metadata. It allows users to search for and publish content across multiple, independent data stores. AIMES Server uses OGC-compliant geospatial queries and web services to allow its data to be accessed by standards-based clients. Enhanced Exploitation and Analysis: The AIMES Exploit exploitation client software interfaces with the AIMES Server database to leverage metadata richness and other data artifacts to bring mission synchronization and geospatial empowerment to data analysis and exploitation. It includes viewing of live video feeds, streamlined workflow, advanced search, geospatial visualization and search, and the ability to view and exploit wide-area motion imagery. 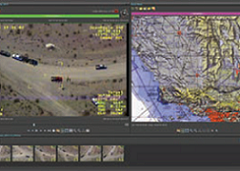 AIMES Exploit offers an intuitive user interface with dockable windows to provide an enhanced visual environment for video exploitation and reporting. Streamlined Generation of Intelligence Products: The AIMES Reporter component augments AIMES Exploit to enable rapid generation of intelligence products. Using an intuitive drag-and-drop interface, AIMES Reporter can create, edit, and share full motion video derived products in HTML, Microsoft® Word and PowerPoint® formats. AIMES Reporter can also be used to generate video products with the ability to edit video clips and insert JPEG snapshots. AIMES is a program of record for the United States Air Force Distributed Common Ground System (AF DCGS) and United States Army Distributed Common Ground System (DCGS-A). Apatch™ software is an antenna design and analysis tool that provides antenna simulation and modeling by computing the radiation and receiving pattern of an antenna or antenna array installed in an operational environment. The Apatch software can operate on highly realistic, complex, 3D CAD models that are accurate representations of the actual operating environment. The computer model uses an efficient and high fidelity electromagnetic modeling approach that is based on the shooting and bouncing ray (SBR) technology that is similar to the Xpatch® toolkit. The SBR method launches rays from the antenna(s) and traces them through multiple bounces as they interact with 3D models that define the operating environment. As the rays interact with objects, they deposit currents on the 3D operational environment according to physical optics (PO) principles. These currents are then integrated to generate the scattering contribution of the antenna's environment to produce the overall installed antenna radiation pattern. The Apatch software aids engineers in evaluating the interplay between the effects of antenna placement, vehicle geometry, and the surrounding environment. Users of the Apatch software include government organizations and major aerospace firms. The Apatch software is one of the only codes in the US that supports prediction of the realistic interaction of an antenna with its environment. This modeling capability also provides an invaluable aid in analyzing existing systems and allows the system designer to experiment with various antenna placements to quickly characterize the radiation and coupling performance, thus leading to optimized antenna location. Because our software identifies potential problems with antenna placement prior to testing, expensive cut-and-try design methods can be eliminated, thus significantly reducing design and development cycle times. Our BEONTRA™ suite delivers highly detailed, schedule-based air traffic forecasts focusing on passenger and traffic figures covering all time horizons from hours ahead to the next 20 years. Forecasts are helping airports with capacity planning, revenue planning, route development, resource management, and long-term planning. With 20 years of experience, Leidos helps customers in this law enforcement and national security field. 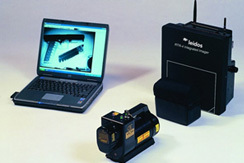 With programs like Next Generation Identification (NGI), Leidos has worked on developing a range of innovative devices, systems, and algorithms to support automated fingerprint identification, palm print identification, facial recognition, iris recognition, DNA identification, and all other forms of biometrics security. The NGI system processes an average of about 300,000 transactions a day, with a fingerprint accuracy rate of 99.6%, and prioritydependent response times less than 10 seconds. Bloodhound is a portable, low-profile, high frequency communications geolocation and tracking system. It can be deployed in fewer than four hours and retrieved in fewer than 45 minutes. BTS (Budgeting for Total Signature) is an adaptable threat-based signature reporting tool currently used for radar signatures with planned development for infrared, acoustic, visual, magnetic/pressure, and electromagnetic emissions. BTS provides ease in communicating signature budgets in while maintaining controls and visualization that is unique to each signature type. BTS is a user-friendly graphical user interface signature reporting tool for total platform RCS. It lets the user maintain a constant picture of the target/system signature and allows real-time adjustments for performing "what-if" scenarios. It has been successfully used across different platforms because the engine for BTS is written in the Visual Basic® development system and incorporates powerful features available in Microsoft® Access software. Circuit Analog STACK (CASTACK™) is a computer code that calculates various electrical properties of a material composed of layers, each of which may contain a regular pattern of arbitrarily shaped circuit elements. CASTACK™ is a computer code that calculates various electrical properties of a material composed of layers, each of which may contain a regular pattern of arbitrarily shaped circuit elements. Transmission and reflection coefficients are calculated for the material stack, as well as input impedance, normal layer admittance and layer impedance. The CASTACK code is widely used for 1D RF prediction of material design and integration. In the CASTACK code, the scattered fields are obtained by determining the currents induced in the material stack by an incident excitation field. 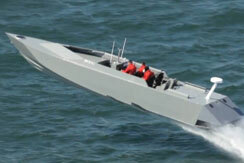 CCM is a long-range, low-observable watercraft solution that can be tailored for individual or complementary vessel missions. It is capable of relaying critical intelligence to the warfighter at 52 knots during high-speed, coastal, and open-ocean maritime operations. Effective Medium Theory Materials (EMTM©) is a computer code that calculates the effective permittivity of a material comprising a substrate or matrix that is randomly loaded with general ellipsoidal particles or inclusions. EMTM is used on targets that are prolate (fiber-like) and oblate (disk-like) shaped ellipsoids as well as spheres for 1D RCS prediction. EMTM is capable of handling both lossy matrix materials and lossy particles. EMTM allows the user to choose various distributions for particle shape such as simple, flat, or Gaussian. It automatically checks the validity of the theory used for each case after all data are input. EMTOOLS is a computational electromagnetic (CEM) software suite comprised of 16 different software codes. ACAL (Advanced Complex Algebra Library) is an out-of-core linear system solution library, using a hyper-matrix approach to partition the problem. The AntFarm (Antenna Farm) toolkit analyzes the radiation and electromagnetic interference (EMI) effects of single or multiple heterogeneous RF systems. Apatch™ software is an antenna design and analysis tool that provides antenna simulation and modeling by computing the radiation and receiving pattern of an antenna or antenna array installed in an operational environment. BTS (Budgeting for Total Signature) is an adaptable threat-based signature reporting tool currently used for radar signature with planned development for infrared, acoustic, visual, magnetic/pressure, and electromagnetic emissions. CASTACK (Circuit Analog STACK) is a computer code that calculates various electrical properties of a material composed of layers, each of which may contain a regular pattern of arbitrarily shaped circuit elements. CATS (Complex Axisymmetric Target Signatures) is a computer code for the radar cross section analysis of objects that exhibit axisymmetric, or rotational, symmetry. CrossFlux is a software tool capable of combining scattering from multiple objects (simulated with separate codes) to form the scattering of the composite target. DUCTSTAT is a computer code designed for evaluating the radar cross section of duct geometries with optional material treatments. EMTM (Effective Medium Theory Materials) is a computer code that calculates the effective permittivity of a material comprising a substrate or matrix that is randomly loaded with general ellipsoidal particles or inclusions. McCavity is a computer software package designed for evaluating the RCS of cavities. McFSS is a computer software package for the analysis of Frequency Selective Surfaces (FSS). For a wide variety of geometry configurations and material loading, McFSS gives the numerically exact solution of FSS transmission problems. McMoM2D is an electromagnetic computational programs used to calculate the scattering from two-dimensional complex targets. MMADTO (Modular Microwave Advanced Design Tool Optimizer) is a 1D, multilayered, laminant absorber design code. SAF is an electromagnetic scattering, radiation, and coupling computational program used to calculate the radar scattering from complex targets. SIG2D is a surface integral computer code for radar cross section analysis of objects that exhibit translational symmetry. The Urbana toolkit simulates wireless propagation and near field radar sensors in complex environments. 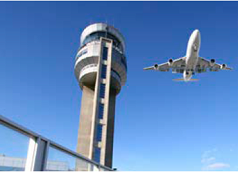 En Route Automation Modernization (ERAM) technology is the heart of NextGen and the pulse of the national airspace system, helping to advance the transition from a ground-based system of air traffic control to a satellite-based system. ERAM provides the foundational platform required for FAA to enable NextGen solutions. 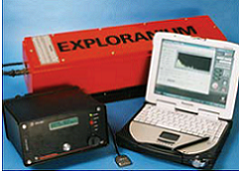 The Exploranium system scans containers, trucks, cars, and railcars while in motion to detect and locate gamma-ray and neutron sources, displaying live and stored radiation profiles on graphic consoles used at thousands of installations for both government and commercial clients in the United States and other countries. FedRAMP provides assessment services to support Cloud Service Providers (CSPs) in the security approval process for products and services in order to be eligible to host government data. Leidos is an industry leader in security product assessments and can be contracted to perform initial independent verification and validation assessments of the security controls deployed within the CSP’s information system, perform periodic assessments, or perform consulting services. The GeoRover software product line provides customer-focused solutions designed to increase the speed, efficiency and productivity of many common GIS workflows. The GLIMPS provides accurate, global forecasts on defined lead times of up to five years, focused on turbulent and complex environments, in order to provide the information needed to adapt to changing needs and resources. GLIMPS technology forecasts the effects of poverty, environmental degradation, political instability, and social tensions through big-data mining and machine learning of millions of open-source intelligence data points to discover the unseen relationships between indicators of stress and locations of potential instability. GR-135 Plus provides sensitive, accurate radiation detection and nuclide identification, in a rugged handheld system for use in the field. The "Identifier" quickly and accurately detects and identify gamma and neutron sources in the field despite rugged terrain, harsh weather and other difficult conditions. Lightweight and rugged, the GR-135 Plus is easy to carry and use, even in tough real-world scenarios. GR-135 Plus uses a variety of sophisticated techniques to accurately detect and identify nuclides, including a 1,024-channel high-resolution analyzer; stabilized, thermally corrected gain; and pulse pile-up rejection to reduce errors at high count rates. Users can define energy ranges to search for specific nuclides. The unit includes four predefined nuclide libraries, and Leidos can provide custom libraries for specific applications. Unit is easy to carry and use in one hand using the thumb joystick. Typical operations are simple and automatic. The large, backlit LCD display features auto-scaling and zoom for graphs, and can display text in many languages. Audio feedback lets users search without watching the unit. Advanced users can customize alarm levels and other parameters for specific applications. Stores thousands of time-stamped readings in non-volatile memory. Users can quickly replay and re-analyze stored readings on the unit. In its docking station, the unit can upload stored data to standard workstations for more detailed analysis using the powerful IdentiVIEW application, and for transmission and archiving. Stands up to temperature, dirt and moisture in harsh conditions and withstands the typical shock and vibration of use in the field. Annual performance service provides testing, calibration, adjustment, software upgrades and more to keep the unit operating at its best. No “Boots on the ground” – Using detailed analytic products and big data collection technology we provide local intelligence prior to arrival. Impact of “Boots on the ground” collection – We monitor social network change and corruption of collection environments to ID reliable sources with real network influence. Inability to identify changing populace sentiment – Our 24/7 automated sentiment monitoring, with predictive analysis provides early threat warning, or continuous evaluation/reporting of MISO results. Inadequate HUMINT in denied areas, or areas without adequate IC sources – Our in-country expert network of local personnel in business and government provide immediate insight from multiple levels. Searches being attributed back to your organization – Use of full non-attribution systems during collection protect against compromise of attribution back to the source. Keeping up with automation and software changes for OSINT collection – We maintain toolset currency, including big data tools, non-attribution, and relationships with niche subcontractors. Intelligence Oversight – All our analysts are IO trained and all products with US persons are prominently marked to aid retention and dissemination decisions, ensuring issue-free IO. Lack of ability to quickly lift and shift collection and analysis focus globally – Fully scalable with linguist analysts to focus on customer areas, without affecting standing requirements. GSF is designed to efficiently store and exchange information produced by geophysical measurement systems before it has been processed into either vector or raster form. Incident Command Tool for Drinking Water Protection (ICWater), software was developed by Dr. William Samuels and his team at Leidos. The model predicts when and to what extent contamination will reach drinking supplies further downstream, enabling officials to determine in real time when and for how long to shut off their cities' drinking water intakes. The Leidos Identification as a Service platform, commercially available as IDHaystack℠, provides a biometric matching service that can serve as the core for any identification or verification system. IDHaystack℠ provides on-demand, pay-as-you-go identification and verification services, all while reducing costs and increasing flexibility. As an integrated suite of reproducible sets of hardware and software, this turnkey cloud solution is designed to be deployed within any cloud environment or within a traditional networked client datacenter, and will provide a one-of-a-kind biometric transaction service. IXQ is an automated collaboration tool that allows warfighters and analysts to rapidly obtain critical expertise across the intelligence community. IXQ harvests analytic activity data from intelligence production systems to form a high-fidelity profile of the unique skillsets and expertise of each analyst. Users can then search, discover, geospatially visualize, and connect with peers using the same temporal, geospatial, or contextual queries they might employ for products or reports. 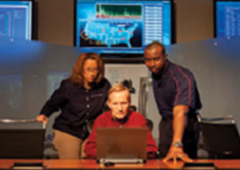 Warfighters and analysts use dynamically created, secure collaboration rooms to discuss their objective or problem set, with the capability to post files and links in addition to text. IXQ provides analysts and tactical customers with an unparalleled ability to rapidly discover and leverage subject matter expertise. 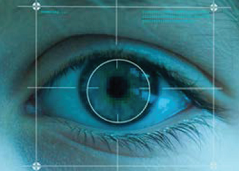 The Integrated Wide Area Surveillance System (IWASS) is an intelligence-based operational solution for border security. Safeguarding the homeland requires a solution that provides an automated, wide-area surveillance capability to predict, deter, detect, track, identify, classify, respond to and resolve incursions. In addition, this solution provides enhanced situational awareness for force protection, critical asset and infrastructure, and special event security. For more than 20 years, Leidos has been at the forefront of solutions that meet the challenges of the border security missions of customs and border protection. In the last five years, we have supported approximately 70 programs with a combined value of more than $200 million. IWASS is a ready-to-use commercial off-the-shelf system that has been tested in the field and is ready to deploy, providing uninterrupted surveillance within a prescribed area of coverage. 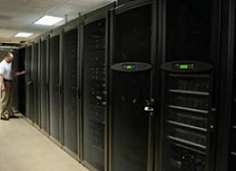 IWASS is a turnkey solution that is an open system, standards-based for integration with other technologies. It is also scalable to provide effective coverage as needs. Leidos border protection solutions are geared to meet specific border security mission needs, now and in the future. We have more than 50 products and applications that can comprise an end-to-end border security solution from prediction to resolution. Our solutions cover the entire security spectrum - from unmanned vehicles, safety and security, and software/hardware to transportation, simulation, and geospatial applications. Our Memory Unit Tactical Air Crew Training System (MUTACTS) provides quick, accurate, and cost-effective post-flight review and analysis of military aircraft training missions. MUTACTS and its companion product for pre-flight analysis, the Mission Planning System (MPS), are both based on exportable map database technology. MUTACTS accurately reconstructs complex training sorties anywhere — without the need for an instrumented range. The system's portability provides tremendous scheduling and location flexibility, and saves range fee expenses. Every flight is recoverable as a training event. Ease-of-use features include simple downloading and state-of-the-art graphics displays of air combat scenarios for pilots, mission planners, and evaluators. This proven system has been in operation since 1997 and has benefited from continuing enhancements to support the latest avionics and weapons systems. The system is currently in use by the United States and several international customers. Data can be delivered less than half an hour after landing for post-mission tactical debriefs. In-depth, definitive detail from the avionics data stream is available when the information is most useful, providing critical feedback within an optimal recall interval. Multiple aircraft can be precisely tracked through aerial maneuvers. Captured data is automatically archived for reuse to maximize training at minimum cost. MUTACTS supports post flight debriefing and training for both air-to-air and air-to-ground weapon simulations. Flight reconstruction can accommodate as many as 30 high activity aircraft. Synchronized displays (3-D and 2-D) of both mission data and aircraft cockpit video are shown over high fidelity digital terrain models. The built-in communications capability enables synchronized debrief between multiple remote sites. In addition, dissimilar aircraft can participate simultaneously. The system accepts data from either external wing-mounted pods or the self-contained avionics in newer aircraft. MICHELLE has models for both equilibrium flow particle trajectories and initial-value time-dependent beam trajectories. It self-consistently computes the emission and transport of charged particles in the presence of electrostatic and magnetostatic fields. The charged particles contribute to the static fields, and the static fields act on the charged particles. The equilibrium flow particle model is also known as a steady-state static PIC code or a gun code. The time-dependent model is an electrostatic time-domain particle-in-cell (PIC) code. Engineers and scientists use MICHELLE to analyze and design a wide variety of electron and ion sources, accelerator beamline components, and vacuum electron device components. The code is used in industry, national laboratories, and academic research institutions. MICHELLE can model devices that range from simple 2-D axisymmetric devices to very complicated 3-D devices, including those with fine geometric features on disparate spatial scales. MICHELLE can model beam formation, beam transport and focusing systems and beam collection. MICHELLE was developed to be an architecture that hosts multiple Electromagnetic and Electrostatic field solvers with Particle tracking capability for both Time-Dependent and Steady-State. It is based on a Finite-Element Particle-In-Cell formulation employing a conformal mesh to resolve very complex geometries with fine features. Computes the self-consistent emission and transport of charged particle streams (rays) in self and external fields, both electric and magnetic. Has a variety of emission models including space-charge-limited, temperature-limited and field-emission, an extensive facility for secondary emission, volumetric ion source model, and a charge exchange model. Java-based graphical user interface for preparing runs, and a Windows postprocessor for viewing results. The preprocessor interfaces with the powerful ICEM-CFD mesh generator suite. Employ a multiblock structured grid, an unstructured grid, or both in a multiblock hybrid mesh that best takes advantage of both grid types. This allows MICHELLE to model very complicated geometries and resolve very strong field gradients as necessary. The conformal mesh capability and grid types supported allow disparate feature scales to be captured in the analysis. Supports linear and quadratic element shapes and basis functions: triangles and quads in 2-D; tetrahedral, hexahedra, prisms and pyramids in 3-D. The different element shapes allow the user to improve the accuracy of a simulation by choosing the optimum mesh topology for the geometry and physics desired. Has two mesh-adaptive particle pushers: a fast Boris-type pusher for structured grids and a unique accurate, reliable pusher for unstructured. The option of different particle pushers allows the user to choose between speed and accuracy. Integrated into the sophisticated ANALYST EM design environment and included adaptive mesh refinement and global design optimization. Although MICHELLE can run in the Voyager User Environment, it is also available in the ANALYST electromagnetic code user environment, by Simulation Technology & Applied Research (STAR Inc). The ANALYST environment is a powerful design environment that includes CAD, Meshing with Adaptive Mesh Refinement, global parametric optimization available to MICHELLE. It also hosts STAR's parallel finite-element electromagnetic frequency domain codes in eigenvalue and driven-frequency models. Can be used to run complicated models with over 5 million tetrahedral elements and many tens of thousands of rays. The robustness of the code to handle small to large mesh sizes in 2-D or 3-D geometries allows the designer to work rapidly to test different possibilities and gain intuition during the research and scoping stages of development. Subsequently, the designer can improve the mesh density as needed to validate the detailed or final designs. The NCM3 is among the first virtual aviation crew trainers for the rear portion of the CH-47 Chinook and UH-60 Blackhawk aircraft. It enables helicopter crews to train together and improve mission coordination and proficiency prior to deployment. OMEGA is a multiscale atmospheric simulation system for advanced, high-resolution weather forecasting and forecasting dosage and hazard levels due to the atmospheric release of aerosols and gases. It has a horizontal grid resolution that ranges from 100 km to 1 km and a vertical resolution that ranges from a few meters to 1 km. OMEGA represents a significant advance in the field of weather prediction. Operational forecast models in current use are scale-specific. Their fixed rectangular grid structure limits the resolution of both the input boundary conditions and the resulting atmospheric simulation. The OMEGA model grid, which is unstructured in the horizontal, adapts to the underlying surface features and can dynamically adapt to atmospheric phenomena as they evolve. The major advantages of OMEGA over the current state-of-the-art include the ability to resolve the surface terrain down to scales of 1 km and along with that the local perturbations on the larger scale wind field. This local wind field perturbation is of extreme importance in determining the trajectory of an aerosol or gas release or plume. However, in order to calculate this local perturbation, it is important to include all of the physical parameters and processes, which affect the local flow. These include not only the topography, but also the land use, the land/water composition, the vegetation, the soil moisture, the snow cover (if appropriate), and the surface moisture and energy budgets. The inclusion of this additional physics, some of which is only appropriate because of the increased spatial resolution, represents an additional advance in the state-of-the-art. ProVM is a data management tool that captures maintenance actions, material suppliers, and failure rates to deliver actionable intelligence to the warfighter for effective decision-making and enhanced combat readiness as well as improved sustainment, operational reliability, and availability of platforms. PFM is designed to efficiently store bathymetric data and generate various representations of the data ("surfaces") for editing, display, and analysis. RADSIM is a high-fidelity radar simulation capability for flight simulators, unmanned aerial vehicle (UAV) simulators, radar scope interpretation (RSI) training, image analyst training, or mission planning/rehearsal systems. It can produce a very high-fidelity geo-specific or generic, simulated real-time synthetic aperture radar (SAR), Doppler beam sharpening (DBS), and real beam imagery to less than one-meter resolution. Platform-agnostic software suite is used for viewing, interpreting, and disseminating full motion video (FMV) in real time. Reveal explosives detection systems (EDS) automatically detect a variety of explosives in checked baggage at airports and other passenger facilities. Reveal's technology meets the world's most demanding EDS standards, including TSA EDS, EU ECAC, and Israeli ISA. The Reveal CT-120 provides proven CT-based explosives-detection and dual-energy 3-D imaging for large baggage — at 1,000 bags per hour. The CT-120 combines outstanding threat-detection capabilities with a low false-alarm rate, at the high throughput needed for large baggage-handling operations. With these features, the CT-120 is a highly effective security solution for airports and other passenger facilities. 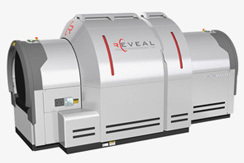 The Reveal CT-800MS provides proven CT-based explosives-detection and dual-energy 3-D imaging for large baggage — at 660 bags per hour. The CT-800MS combines outstanding threat-detection capabilities with a low false-alarm rate, at the throughput needed for moderate-size baggage-handling operations. With these features, the CT-800MS is a highly cost-effective security solution for airports and other passenger facilities. 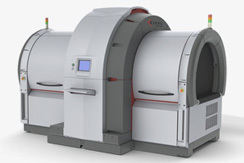 The Reveal CT-80DR+ combines powerful dual-energy X-ray CT imaging with proven explosives-detection technology to provide outstanding threat-detection capabilities with a very low false-alarm rate. With its high performance, compact size and low cost, the CT-80DR+ is a highly effective and economical security solution for airports and other passenger facilities. 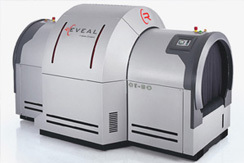 The Reveal CT-800 combines powerful dual-energy X-ray CT imaging with proven explosives-detection technology to provide outstanding threat-detection capabilities with a very low false-alarm rate, plus very high-resolution images for visual inspection. With its high performance and low cost, the CT-800 is a highly effective and practical security solution for airports and other passenger facilities. The RC-12X Cockpit Procedural Trainer provides procedural, sustainment, and annual training simulation solutions for the RC-12X and Hawker Beechcraft King Air 350ER aircraft, enabling pilots and co-pilots to train without leaving the mission. RTR-4 portable digital X-ray system helps law enforcement, military and customs personnel search for weapons, narcotics and other contraband hidden in parcels, vehicle tires and panels, building walls and many other objects. The RTR-4 system is designed to help law enforcement, military, customs and security personnel search for explosives, weapons, narcotics and other contraband. The system can reveal the contents of parcels, baggage, boxes and crates, vehicle tires and body panels, aircraft walls and wings, building walls, and many other targets. The RTR-4 system consists of a lightweight, compact x-ray source and imaging unit that are positioned on opposite sides of the target object, plus a standard notebook computer for controlling the system and analyzing images. The control computer is connected to the imager by an Ethernet cable or optional wireless connection. X-ray source: The standard source can penetrate more than 25mm (1 inch) of steel. A more powerful source is also available. 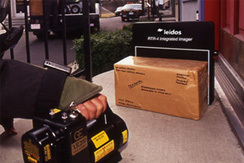 Imager: The standard imaging unit provides high-resolution images up to 20 x 25cm (8 x 10 in). A larger imager with an area of 40 x 56 cm (16 x 22 in) is also available. Control computer: A standard notebook computer provides system control and image-analysis functions. A rugged Toughbook® computer is also available. The computer is supplied with our RTR-4 database and image-analysis software, available in many languages. RTR-5 is a next-generation portable x-ray system for detecting explosives, weapons and other contraband. Utilizing a unique combination of computed radiography (CR) plate and a digital radiography (DR) scanning system, RTR-5 provides high quality images in near real time. RTR-5 Flat Panel design supports rapid deployment in extremely tight spaces and acquisition of multiple images from a single approach. Projecting variations in a financial plan over time. Causeway™, SIAM's "sister application", is available for export and can be localized to different languages. A Service Support Agreement (SSA) can be purchased which includes upgrades. Training and modeling services are also available. SIAM encourages the user to consider and track the impact of all issues, events, perceptions, and other factors which are believed to be of some significance. By analyzing all relevant issues, the user can make the most informed decision possible. Automated assessment tools allow the user to evaluate the importance of uncontrolled variables, and adjust decisions to incorporate major developments and changes to the situation or information updates available to the user. With its user-friendly graphical structure and automated evaluation functions, SIAM encourages a more detailed level of thinking than is sometimes possible by intuition alone. Once identified, these detailed issues and relationships can be assessed for their importance within the larger picture. Provides noncombat vehicles and targets with high-fidelity detection systems for real-time casualty assessment. A range of products meet live training needs — from basic Multiple Integrated Laser Engagement System (MILES) components to the most recent MILES variant, and exciting, emerging efforts like the Operational Test — Tactical Engagement System (OT-TES) and geometric-bearing (GB) systems. TRAPS is a rapidly deployable, low-cost, persistent, deep-ocean sensor system for long-range passive Anti-Submarine Warfare with nodes deployable and effective across a variable duration based upon operational usage. The Urbana™ toolkit simulates wireless propagation and near field radar sensors in complex environments. The underlying ray-tracing physics engine aggregates Physical Optics, Geometric Optics, and Diffraction Physics to produce a high-fidelity simulation. 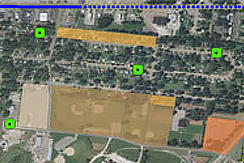 Urban Propagation — The Urbana toolkit provides wireless system planners with a powerful tool to simulate propagation in outdoor rural and urban settings. Indoor/Outdoor Propagation — The Urbana toolkit ray tracing engine can account for the complex, cascading multi-bounce effects introduced by multiple walls and other partially penetrable boundaries in an Indoor/Outdoor environment. Collision Avoidance Radar — The Urbana toolkit also features a high-fidelity radar signal scattering solution specifically designed to handle complex scenes with numerous scattering features generating radar returns, such as automotive collision radar applications. Antenna Studies — Urbana toolkit allows users to study antenna designs and locations to determine the optimal configuration for a particular application. The Urbana toolkit models wireless and radar systems exhibiting time, frequency, spatial, and field polarization dependence. For wide-band systems, it allows the user to understand the frequency dispersive properties of a channel introduced by realistic materials. Urbana's powerful modeling tools allow engineers to analyze spatial dependencies that arise from the physical complexity of the environment. Its interface reveals regions of relatively strong or weak signal levels and provides a diagnostic tool for interpreting the results. Voice Identity Biometrics Exploitation Services (VIBES) is a government initiative based on an accredited framework by Leidos. 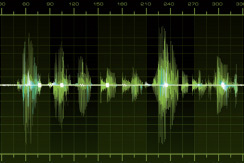 The framework permits the advanced speaker identification and data integration techniques related to voice identity to be rapidly operationalized to assess and interdict evolving threats. The VIBES approach to voice-enhanced tactical all-source analysis supports many choices across current and evolving voice enrollment, collection, speaker identification and data integration capabilities. WISDOM is a predictive analytics and big data technology tool that monitors and analyzes rapidly changing open source intelligence data (newspaper feeds and social media content for example). This type of content has the power to incite organized movements, riots and sway political outcomes. WISDOM turns this data into actionable intelligence for our customers. The WITS is software-adaptable to support the full range of tracked and wheeled logistics, utility, and light armored vehicles in service today. 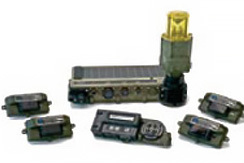 The WITS is easy to mount on a variety of vehicles and targets making it one of the most adaptable and flexible Multiple Integrated Laser Engagement System (MILES) target products available today. WITS is based on an advanced wireless, modular, open architecture and provides maximum flexibility and adaptability across the entire vehicle inventory, enabling significantly reduced total cost of ownership. It has a proven instrumentation interface and is compliant at all three Army Combat Training Centers. Like other Leidos TES training systems, the WITS has demonstrated non-line-of-sight GB technology at Army training bases and has been successfully embedded inside vehicles. The Xpatch® toolkit is a set of prediction codes and analysis tools that use the shooting-and-bouncing ray (SBR) method to predict realistic far-field and near-field radar signatures for 3D target models. The Xpatch toolkit is used by the Air Force Research Laboratory and Defense Advanced Research Projects Agency (DARPA) for multiple radar simulation programs. There are over 9000 active licenses across the country in both industrial and government applications using the Xpatch toolkit to produce and analyze scattering data for realistic aircraft, missiles, ships, spacecraft, and ground vehicles. Multiple IGES entities, scattering centers, and hybrid capabilities support. Intuitive user interfaces aid in problem setup, model checking, moving components, comparing signatures, and plotting results. ISAR and range profile generation with feature traceback capability. Edge, point, and custom forms of diffraction. Moving parts analysis and support. Fully compatible with SAF and CrossFlux. The Xpatch toolkit is the premier electromagnetic (EM) code suite for predicting and analyzing high-frequency radar signatures. It has evolved and matured through extensive validation efforts with the Air Force Research Laboratory (AFRL).